Dr. Liu possesses a strong background in materials synthesis, colloidal and surface science, and high-resolution electron microscopy. He joined PNNL in 1992, became a Laboratory Fellow in 2000, and over time initiated and led a broad range of basic and applied research programs in materials science. In 2001, he left PNNL for a position with Lucent Bell Laboratories, and later Sandia National Laboratories, where he served as manager of the Chemical Synthesis and Nanomaterials Department, and as a thrust leader in the Center for Integrated Nanotechnologies. Dr. Liu returned to PNNL in 2005 to head the synthesis task within the catalysis initiative, and also led the Transformational Materials Science Initiative, as well as energy storage research. In addition, he served as the Director of the Energy Processes and Materials Division, and currently serves as the Cross-Science Lead on the Joint Center for Energy Storage Research, a DOE Energy Innovation Hub in which PNNL is a partner. Dr. Liu has more than 400 peer reviewed publications, has received more than 55 U.S. patents. He was named a Distinguished Inventor of Battelle in 2007 and was selected as PNNL's 2012 Inventor of the Year. 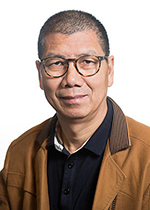 He holds a bachelor's degree in Chemical Engineering from Hunan University, a master's degree in Ceramic Engineering from the University of Washington, and a doctorate in Materials Science and Engineering, also from the University of Washington. U.S. Patent No. 9,954,229, April 24, 2018, "ELECTROLYTE FOR STABLE CYCLING OF HIGH-ENERGY LITHIUM SULFUR REDOX FLOW BATTERIES". U.S. Patent No. 9,525,191, December 20, 2016, " Magnesium-Based Energy Storage Systems and Methods Having Improved Electrolytes". U.S. Patent No. 9,437,899, September 6, 2016, "SOLID-STATE RECHARGEABLE MAGNESIUM BATTERY". U.S. Patent No. 9,368,824, June 14, 2016, "Iron-Sulfide Redox Flow Batteries". U.S. Patent No. 9,112,243, August 18, 2015, "Energy Storage Devices Having Anodes Containing Mg and Electrolytes Utilized Therein". U.S. Patent No. 9,070,942, June 30, 2015, "Nanocomposite of graphene and metal oxide materials". U.S. Patent No. 9,040,200, May 26, 2015, "TITANIA-GRAPHENE ANODE ELECTRODE PAPER". U.S. Patent No. 8,999,574, April 7, 2015, "GRAPHENE-SULFUR NANOCOMPOSITES FOR RECHARGEABLE LITHIUM-SULFUR BATTERY ELECTRODES". U.S. Patent No. 8,753,772, June 17, 2014, "Graphene-Sulfur Nanocomposites for Rechargeable Lithium-Sulfur Battery Electrodes". U.S. Patent No. 8,632,915, January 21, 2014, "Nanocomposite protective coatings for battery anodes ". U.S. Patent No. 8,609,270, December 17, 2013, "Iron-sulfide redox flow batteries ". U.S. Patent No. 8,557,442, October 15, 2013, "Nanocomposite of Graphene and Metal Oxide Materials". U.S. Patent No. 8,557,441, October 15, 2013, "Titania-graphene anode eletrode paper". U.S. Patent No. 8,257,867, September 4, 2012, "Nanocomposite of Graphene and Metal Oxide Materials". U.S. Patent No. 8,158,545, April 17, 2012, "Methods, Systems, and Devices for Deep Desulfurization of Fuel Gases". U.S. Patent No. 7,846,684, December 7, 2010, "Proteins in a Porous Support ". U.S. Patent No. 7,011,771, March 14, 2006, "Carbon Nanotubes On A Substrate and Method of Making ". U.S. Patent No. 6,361,861, March 26, 2002, "Carbon Nanotubes On A Substrate ". Lei C., P. Liu, B. Chen, Y. Mao, H.E. Engelmann, Y. Shin, and J. Jaffar, et al. 2010. "Local Release of Highly Loaded Antibodies from Functionalized Nanoporous Support for Cancer Immunotherapy." Journal of the American Chemical Society 132, no. 20:6906-6907. PNNL-SA-71656. Xiao J., D. Choi, L. Cosimbescu, P.K. Koech, J. Liu, and J.P. Lemmon. 2010. "Exfoliated MoS2 Nanocomposite as an Anode Material for Lithium Ion Batteries." Chemistry of Materials 22, no. 16:4522-4524. PNNL-SA-72496. Yang Z., J. Liu, S. Baskaran, C.H. Imhoff, and J.D. Holladay. 2010. "Enabling Renewable Energy and the Future Grid with Advanced Electricity Storage." JOM. The Journal of the Minerals, Metals and Materials Society 62, no. 9:14-23. PNNL-SA-74349. Kerisit S.N., K.M. Rosso, Z. Yang, and J. Liu. 2009. "Dynamics of coupled lithium/electron diffusion in TiO2 polymorphs." Journal of Physical Chemistry C 113, no. 49:20998-21007. PNNL-SA-66930. Wang L.Q., D. Wang, J. Liu, G.J. Exarhos, S. Pawsey, and I.L. Moudrakovski. 2009. "Probing Porosity and Pore Interconnectivity in Crystalline Mesoporous TiO2 Using Hyperpolarized Xe-129 NMR." Journal of Physical Chemistry C 113, no. 16:6577-6583. PNNL-SA-62597. Zhu K., D. Wang, and J. Liu. 2009. "Self-assembled Materials for Catalysis." Nano Research 2, no. 1:1-29. PNNL-SA-62551. Lei C., Y. Shin, J. Liu, and E.J. Ackerman. 2002. "Entrapping Enzyme in a Functionalized Nanoporous Support." Journal of the American Chemical Society 124, no. 38:11242-3. PNWD-SA-5704. Domansky K., J. Liu, L.Q. Wang, M.H. Engelhard, and S. Baskaran. 2001. "Chemical Sensors Based on Dielectric Response of Functionalized Mesoporous Silica Films." Journal of Materials Research 16, no. 10:2810-2816. PNNL-SA-32961. Kelly S.D., K.M. Kemner, G.E. Fryxell, J. Liu, and S.V. Mattigod. 2001. "X-Ray Absorption Fine Structure Spectroscopy Determination of the Binding Mechanism of Tetrahedral Anions to Self Assembled Monolayers on Mesoporous Support." Journal of Synchrotron Radiation 8, no. Pt 2:922-924. PNNL-SA-33800. Baskaran S., J. Liu, K. Domansky, N.J. Kohler, X.H. Li, C.A. Coyle, and G.E. Fryxell, et al. 2000. "Low Dielectric Constant Mesoporous Silica Films Through Molecularly Templated Synthesis." Advanced Materials 12, no. 4:291-294. PNNL-SA-33058. Fryxell G.E., and J. Liu. 2000. "Designing Surface Chemistry in Mesoporous Silica." In Adsorption on Silica Surfaces, Surfactant Science Series, edited by Eugene Papirer. 665-687. New York, New York:Marcel Dekker. PNNL-SA-32927. Gong X., J. Liu, S. Baskaran, R.D. Voise, and J.S. Young. 2000. "Surfactant-assisted Processing of Carbon Nanotube/Polymer Composites." Chemistry of Materials 12, no. 4:1049-1052. PNNL-SA-32622. Liang L., P.C. Rieke, G.E. Fryxell, J. Liu, M.H. Engelhard, and K.L. Alford. 2000. "Temperature-Sensitive Surfaces Prepared by UV Photografting Reaction of Photosensitizer and N-Isopropylacrylamide." Journal of Physical Chemistry B 104, no. 49:11667-11673. PNNL-SA-33880. Liang L., P.C. Rieke, G.E. Fryxell, J. Liu, M.H. Engelhard, and K.L. Alford. 2000. "Temperature-Sensitive Surfaces Prepared by UV Photografting Reaction of Photosensitizer and N-Isopropylacrylamide." Journal of Physical Chemistry B 104. PNNL-SA-34031. Liang L., P.C. Rieke, J. Liu, G.E. Fryxell, J.S. Young, M.H. Engelhard, and K.L. Alford. 2000. "Surfaces with Reversible Hydrophilic/Hydrophobic Characteristics on Cross-linked Poly(N-Isopropylacrylamide) Hydrogels." Langmuir 16. PNNL-SA-32148. Liu J., G.E. Fryxell, S.V. Mattigod, T.S. Zemanian, Y. Shin, and L.Q. Wang. 2000. "Synthesis and Applications of Functionalized Nanoporous Materials for Specific Adsorption." In Nanoporoous Materials II, Studies in Surface Science and Catalysis, 129, 729-738. Amsterdam, :Elsevier. PNNL-13049. Shin Y., T.S. Zemanian, G.E. Fryxell, L.Q. Wang, and J. Liu. 2000. "Supercritical Processing of Functionalized Size Selective Microporous Materials." Microporous and Mesoporous Materials 37, no. 1-2:49-56. PNNL-SA-32195. Smith B.A., J.Z. Zhang, A.G. Joly, and J. Liu. 2000. "Luminescence Decay Kinetics of Mn2+ Doped ZnS Nanoclusters Grown in Reverse Micelles." Physical Review. B, Condensed Matter 62, no. 3:2021-2028. PNNL-SA-32726. Thevuthasan S., S. Baskaran, K. Domansky, J. Liu, and M.H. Engelhard. 2000. "Effectiveness of High Energy Ion Beam Techniques for the Characterization of Mesoporous Low Dielectric-Constant Materials." Nuclear Instruments and Methods in Physics Research. Section B, Beam Interactions with Materials and Atoms 161-163. PNNL-SA-31090. Wang L.Q., J. Liu, G.J. Exarhos, K. Flanigan, and R. Bordia. 2000. "Conformation Heterogeneity and Mobility of Surfactant Molecules in intercalated Clay Minerals Studied by Solid-State NMR." Journal of Physical Chemistry B 104(13), no. April 6, 2000:2810-2816. PNNL-SA-32627. Fryxell G.E., J. Liu, and S.V. Mattigod. 1999. "Self-assembled Monolayers on Mesoporous Supports (SAMMS) - An Innovative Environmental Sorbent." Materials Technology 14, no. 4:188-191. PNNL-SA-33280. Kemner K.M., X. Feng, J. Liu, G.E. Fryxell, L.Q. Wang, A.Y. Kim, and M. Gong, et al. 1999. "Investigation of the local chemical interactions between Hg and self-assembled monolayers on mesoporous supports." Journal of Synchrotron Radiation 6, no. 3:633-635. PNNL-SA-34351. Mattigod S.V., X. Feng, G.E. Fryxell, J. Liu, and M. Gong. 1999. "Separation of Complexed Mercury from Aqueous Wastes Using Self-Assembled Mercaptan on Mesoporous Silica." Separation Science and Technology 34, no. 12:2329-2345. PNNL-SA-33381. Wang L.Q., G.J. Exarhos, and J. Liu. 1999. "Nuclear Magnetic Resonance-Characterization of Self-Assembled Nanostructural Materials." Advanced Materials 11, no. 16:1331-1341. PNNL-SA-32132. Wang L.Q., G.J. Exarhos, and J. Liu. 1999. "Nuclear Magnetic Resonance-Characterization of Self-Assembled Nanostructured Materials." Advanced Materials 11, no. 16:1331-1340. PNNL-SA-34352. Lumetta G.J., B.M. Rapko, and J. Liu. 1998. Washing and Caustic Leaching of Hanford Tank Sludge: Results of FY 1998 Studies. PNNL-12026. Richland, WA: Pacific Northwest National Laboratory.